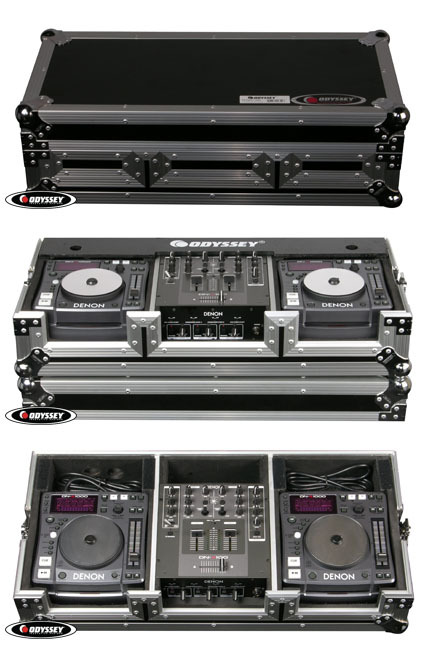 Odyssey FZDNX12000E CD DJ Coffin DJParts - All Variety of Parts that DJ Needs. 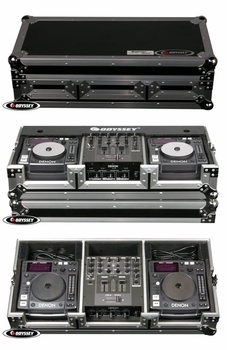 This ATA Console holds two DNS1000 CD players and This ATA Console holds one Denon DNX100 mixer and two DNS1000 CD players. It features recessed hardware, heavy duty ball corners and a flip-down front panel for access to mixer controls and CD slots The padded and cushioned interior features a panel that covers the cable area, keeping them out of sight. Detachable lid included (not shown).